People often ask me why I dedicate my professional life to defending "criminals." First, the vast majority of my clients are not "criminals." They are honest, decent, and hard-working people, who for a number of different reasons, have made poor life choices and are dealing with the aftermath of those poor life choices. In my experience, the poor life choices that they made are the end result of personal and professional difficulties that they have been dealing with for a long time. They come to my office confused, embarrassed and under a great deal of stress at carrying around the label of someone who has been arrested or accused of committing a crime. I help them navigate the intimidating world of courthouses, judges and prosecutors. With proper representation, they can return to the productive lives that they led before they made the poor life choices that caused them to come to my office. Second, the general public does not understand that the police quite often get it wrong. Unfounded, false or mistaken charges are sometimes made by family members, domestic partners, friends, employers and police officers. I pride myself on fighting back against those false or mistaken charges made against my clients to allow them to return to their communities and the productive lives that they led with their freedom and reputations intact. Last, I enjoy taking on the unlimited resources and power of the government, police officers and prosecutors. It is truly a battle between David and Goliath but I relish the challenge. I pride myself on winning cases for clients, not just "handling" cases. I scrutinize each case to determine if the facts fit the charge and whether the police violated the law in the manner in which they conducted a search or questioned a client for example. Attorney Caldarone graduated from Pepperdine University (B.A., 1993 and M.A., 1999) in Malibu, California and received his legal degree from Northeastern University School of Law (J.D., 2002) in Boston, Massachusetts. After graduating from law school, attorney Caldarone was appointed as an Assistant State Attorney for the Miami-Dade County State Attorney's Office. As a prosecutor, successfully tried as lead counsel and handled hundreds of misdemeanor and felony cases. That intensive experience taught him how police and prosecutors build criminal cases and how to expose the weaknesses in those cases. Attorney Caldarone is licensed to practice in all state and federal courts in Florida, the Supreme Court of the United States and the Eleventh Circuit Court of Appeals. He is a member of the American Bar Association, National Association of Criminal Defense Lawyers, Florida Association of Criminal Defense Lawyers, and the Greater Naples Chamber of Commerce. Attorney Caldarone is a member of the American Bar Association, National Association of Criminal Defense Lawyers, Florida Association of Criminal Defense Lawyers, Collier County Association of Criminal Defense Lawyers, and the Greater Naples Chamber of Commerce. 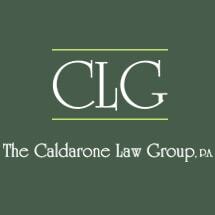 In addition to fighting for his clients, attorney Caldarone prides himself on his involvement in the community. Toward that end, he volunteers his time with the Teen Court of Collier County program and accepts pro bono cases with the Guardian ad Litem office in Collier County, Florida.